How we celebrate at the Wiener Wiesn-Fest! O’zapft is! Let’s turn the tap on! This is what you can expect again at Wojnar’s Kaiserzelt (emperor’s tent) from 27. September to 14. October 2018. Both the music and the food on offer here promise to be something special again. For 18 days, both enjoyment and tradition come together with imperial exuberance. Wojnar’s Kaiserzelt will open its doors again at the Wiener Wiesn festival this year. This means 19 days of pure excitement. Die jungen Zillertaler band rocked the tent on two afternoons, for instance, creating a perfect party atmosphere. The Kaiserzelt has space for nearly 1,400 visitors – and provides a sensational view of the Ferris wheel due to its transparent roof. In addition to a cool party mood, there is no lack of culinary diversity at the Kaiserzelt. The ‘Genuss-Specht-Wirte’ will again provide the required sustenance here this year in the form of hearty traditional cooking, along with Wojnar’s salads, bread spreads and snacks. After all, the family business Wojnar has been synonymous with top quality and delicious enjoyment for 75 years already, from Viennese snack pots to Liptauer. We are already looking forward to welcoming you to the Wiener Wiesn festival from 27 September to 14 October 2018. Everyone is talking about the climate change – and Wojnar is doing something about it. 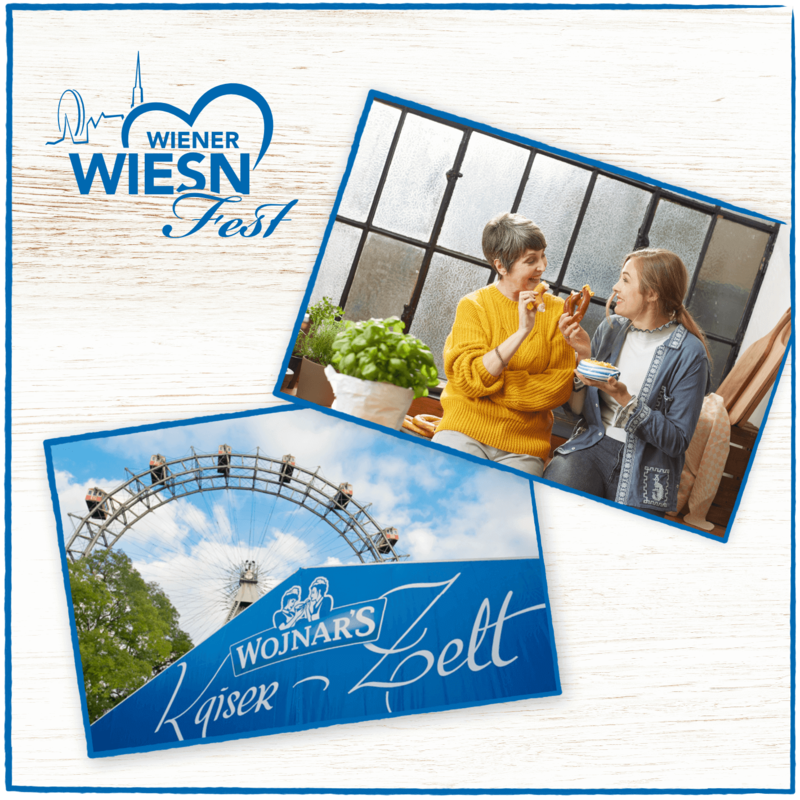 This year for the first time there will be climate-neutral pleasure in the Wojnar’s Kaiserzelt at the “Wiener Wiesn” Festival. 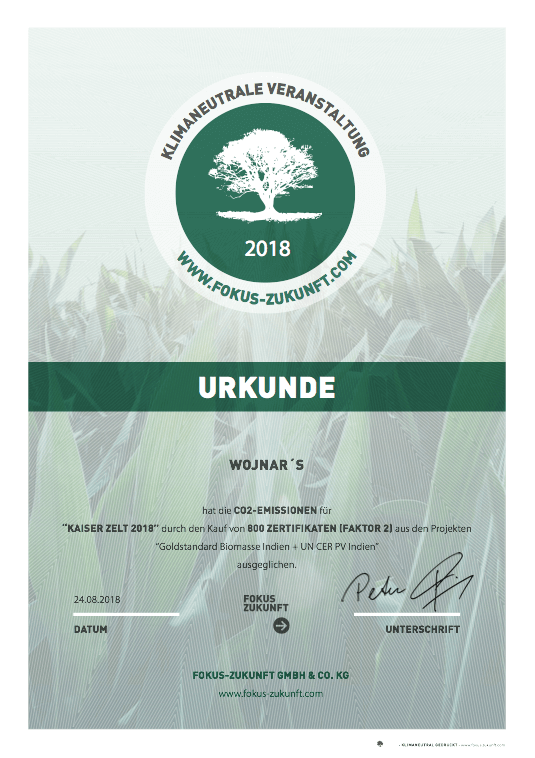 This means: Every jug of beer, every snack, live music, lighting and atmosphere in Wojnar’s festive tent are for the first time this year awarded with internationally recognised climate certificates. Because good times and clear conscience bring double joy!